This is the perfect lightweight packable rainwear companion. Using a Venturi® waterproof membrane you will be kept dry, and the jacket also has a zip under the front stud fastening, which has been designed to ensure no water can get in. The Ketton packs into its inside chest pocket and stows away easily. Originally designed for men, its strength and endurance stood up to rough terrains. As time has moved on, more and more women have bought this coat. So much so that the quality and functionality of the Ketton is now suitable for the unisex market. Are you still unsure what size to buy? Consider using our pre paid return postage service. This service is designed for peace of mind and to try and save you money should you wish to return the jacket. The service includes postage back to us and if you have selected to try a different size then it also covers the postage back to yourself. The pre paid return postage is only £2.49 in the checkout when you place your order. *Compared to the average cost of return price supplied previously by our customers; a saving of £10 is made if an exchange is chosen. If you have any questions then please don't hesitate to contact us. *Average return price is based on customer feedback supplied 12 months ago. 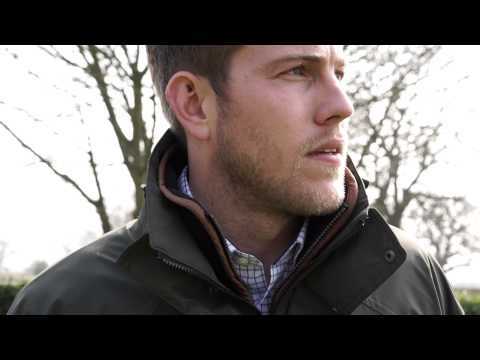 Venturi, the powerful clothing laminate exclusive by Schoffel. Venturi is able to combine a membrane that meets the highest demands, waterproof, windproof and breathable. By combining the Venturi membranes with different outer fabric, optimal properties for different applications can be achieved. It provides excellent grip with a soft feel. Venturi is a technical feature of Schoeffel products. Regular functional and quality tests are checked continually. Why is Venturi water and windproof? It is a closed membrane, no openings or pores, no water or wind can penetrate through the material. It is Hydrophilic, (water friendly) and Hydrophilic fibers pull moisture and take them on. In combination with Hydrophobic, (water repellent) the fibre results in a superior moisture transport. With a water column of 10,000 mm Schoeffel exceeds the standard for waterproofness of 1,300 mm clear. In addition, all seams are welded and sealed with a special tape. Why is Venturi is breathable? It's because of the structure of coarse and fine molecular compounds. Through the coarse molecular structure water vapor can escape. As long as the outdoor temperature is lower than the temperature in the garment, the water vapor conditions create the breathability.